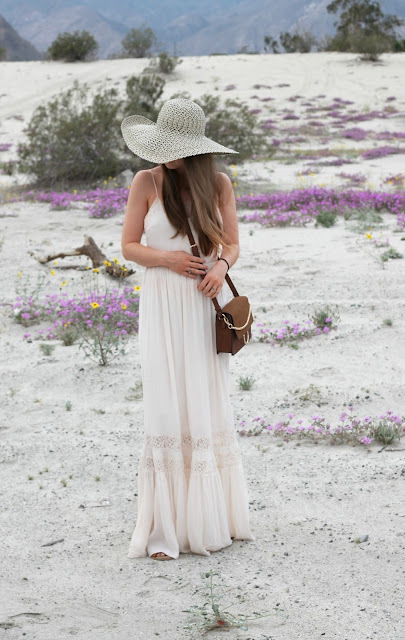 As I mentioned before, I wanted to keep it simple and comfortable while in Palm Springs, so for my last day I opted for another maxi dress. I really love this one because it looks so elegant and can easily be dressed up or down depending on your needs. It does run a bit long, so if you are on the shorter side like me you may need to wear heels! Since this dress was a little long I broke in my new mules that I love! They are so comfortable. I wish you could see them more in these pictures. In love with this dress and feeling the festival and dessert vibes with you! Join my weekly Weekend Wear Linkup and share your style and stories. Cassie you look SO CUTE!!!!!! Sorry I haven't come to say hi in forever!! I'm such a bad blogging friend! Life has been crazy! You (as always) look so fabulous. Loving the festival vibes! I'm bummed I couldn't see the shoes on, but I'm sure they looked adorable! Good luck in your last week of school! This look is simple and stunning! LOVE your maxi! So beautiful! Love the hat styled with this look! 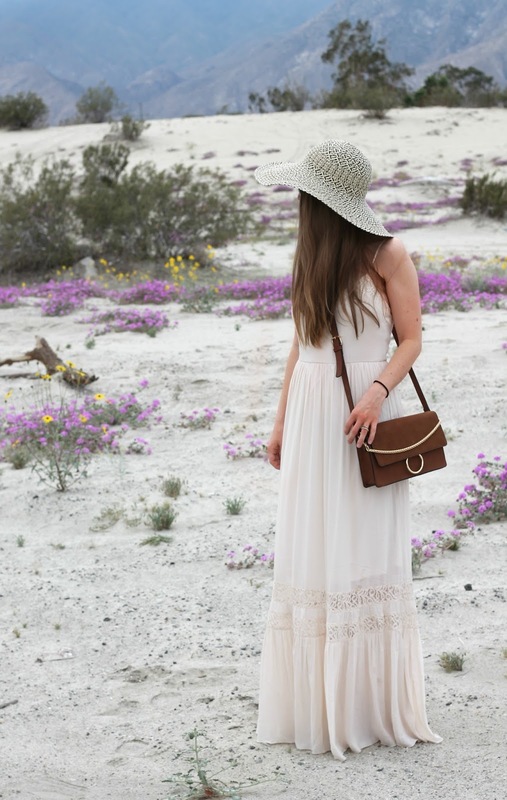 totally rocking this boho maxi like no other! So beautiful! I love the vibe of this dress. 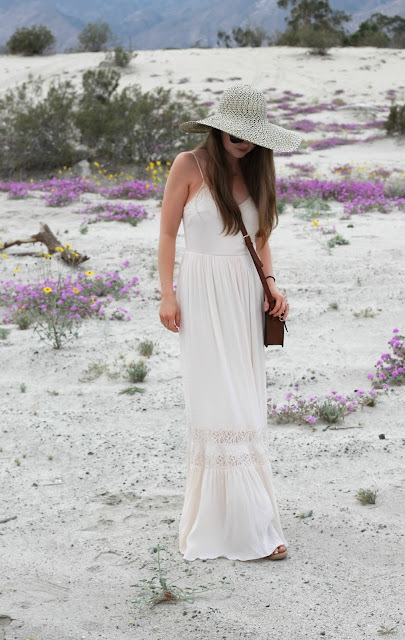 I could even see a bride wearing this for a casual beach wedding with a floral crown! Just gorgeous! Your pictures are lovely and your dress looks pretty especially in this setting!